We have prepared for you the instructions on how to avoid a private proxy ban. Try them out and we hope at least one of them will help you. IP-addresses blocking – The Internet service provider adds all IP addresses belonging to the proxy service to the blacklist. Lesser known servers remain in the shadows, allowing their users to access blocked content. Port locking. Another effective way to block is to configure the firewall in a special way and block the ability to connect to any of the ports most commonly used by proxy services. They mostly are 1194, 1723, 500, 4500, 1701 and others. Deep Packet Inspection. Special software filters the traffic when the packages pass through a certain section of the network. This method effectively detects encrypted traffic. This is the most effective way to block the private proxy. Using different servers – Some proxy providers allow connecting to several servers. So, when you notice that your current proxy works improperly, you can try to change the server or IP-address. How to change the address or server? In most cases, you will use the special application. There you will be able to change the protocol or server location. If you are not sure, contact tech support of your private proxy provider. In case of private proxy blocking, which blocks the traffic through certain ports, to restore access you should simply try to switch the port used by your software. If your service provider does not offer a pre-configured list of ports, try the following. TCP port 80 is a common port used by all unencrypted Internet traffic. This port will not be blocked because it is a part of the HTTP protocol. However, most of the deep packet inspection methods quickly detect the traffic through this port. TCP port 443 is the port commonly used by HTTPS-protocol on online stores, email providers, banking websites, etc. This port is rarely blocked, as it will seriously restrict online security. SSH-tunnels (Secure SHell) is a clever way of additional encryption so that the traffic could seamlessly avoid blocking. The SSH tunnel consists of an encrypted tunnel created using the Secure Shell (SSH) protocol. SSH is widely used to transfer files securely from one computer to another, but this technology can be used for regular online traffic. This method is slightly slower than others but is extremely effective. SSL (Secure Socket Layer) tunnels are a bit similar to the SSH tunnels described above and use a secure port 443 and “wrap” the data with an additional SSL encryption. 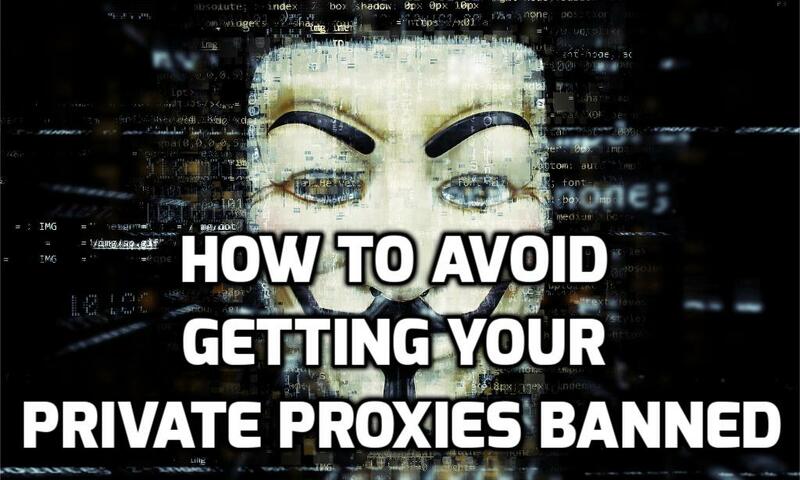 It makes much more difficult to determine that the packages relate to proxy traffic. This allows you to avoid any blocks without any problems. To take advantage of the SSL tunnel, you need to download and use the Stunnel program. It’s not so easy to do: to configure Stunnel, you will need a strong technical knowledge and command-line skills. Some VPN services offer SSL tunneling through their custom applications, but this is extremely rare. If an ordinary VPN does not cope with locks, you can use a double proxy. For example, you connect to a server in one country, and through it connect to a server in another country. Both will work legally, just the second one will think that you are from the country where the sites or apps are not banned. Even while using the 443 port, most firewalls decrypt the packages and identify them as a proxy traffic. So, some services provide a technology, which allows to mask proxy traffic, presenting it as regular web traffic, encrypted with TLS protocol. Using traffic obfuscation makes possible to hide the headers of proxy packages, hiding it from the firewalls. The basic principle of any proxy server is the connecting to the server in the country without internet censorship. Most providers allow choosing at least two locations. When you buy the private one, you can choose among more than 50 countries and even more. So, try not to use the location where the internet freedom is not absolute. Such countries are well known. We advise not to connect to Ukrainian, Russian and Eastern European in general, African and Middle Asian. There are some limitations in those countries so better avoid proxies from there. Some providers use just several subnets to handle a lot of IP addresses. They can provide the services to many subscribers simultaneously, but when they all connect to the server, the remote server limits the number of connections and disconnects you. How to avoid the issue? Use popular services with a good reputation. They will provide enough amount of subnets so you will not face the problem. You can find some of them here. If you follow the recommendations, you most probably will not have the problems with private proxy getting banned. Anyways, if you are already blocked, try to use an alternative service. And use services with a good reputation.